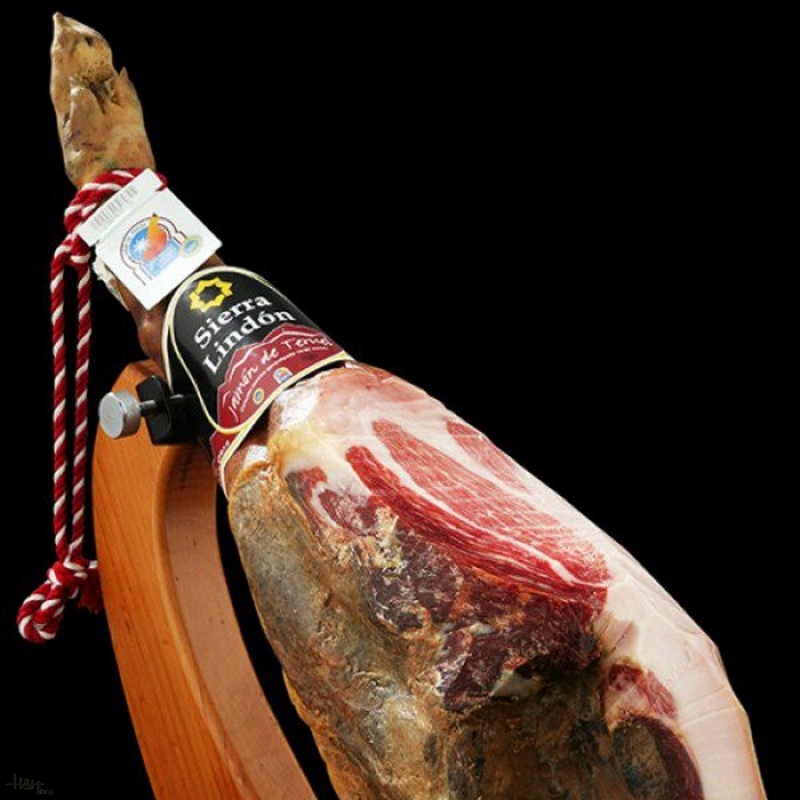 Serrano Ham DO Teruel was the first food in Spain recognized as a Designation of Origin product. It is carefully selected prime pigs of the 'Duroc' race on the father's side and 'Large White' and 'Landrace' on the mother's side. 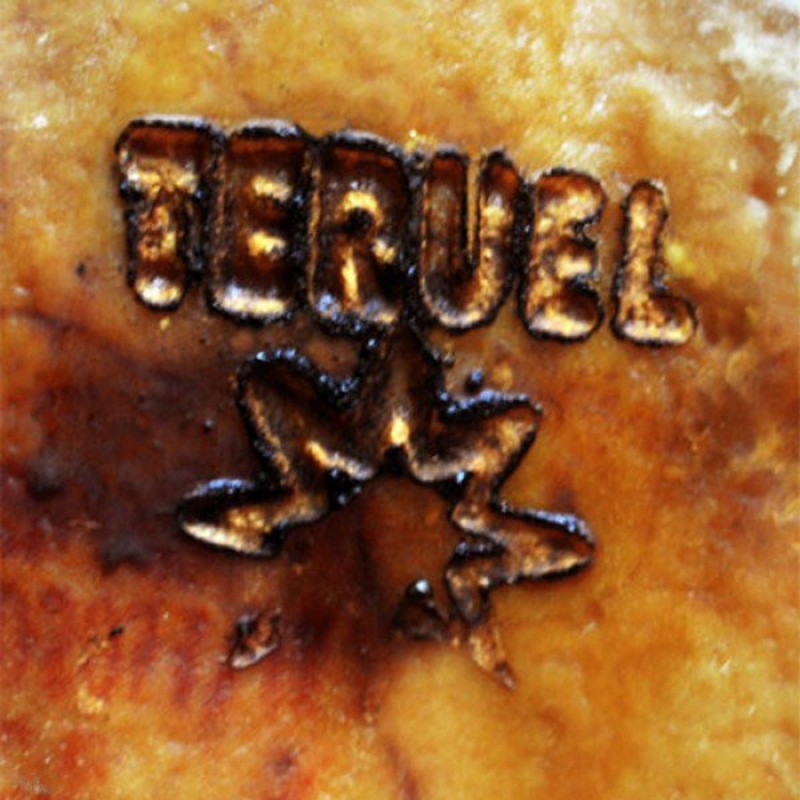 Serrano Ham DO Teruel is shiny and red when cut, with partially infiltrated fat. It has a delicate and very slight salty flavour, with a creamy, shiny and aromatic consistency, giving a pleasant taste. The breeding and feeding of each pig is rigorously monitored by the Denomination of Origin Regulating Board, which is in charge of supervising the entire production process the farm to the market. This organisation is also the guarantor that each ham marked with the 8-point star and labelled with its corresponding band meets the characteristic requirements. The natural drying houses of 'Sierra Lindon' in Monreal del Campo, standing 940 metres above sea level, enjoy the privileged climate of the province of Teruel. 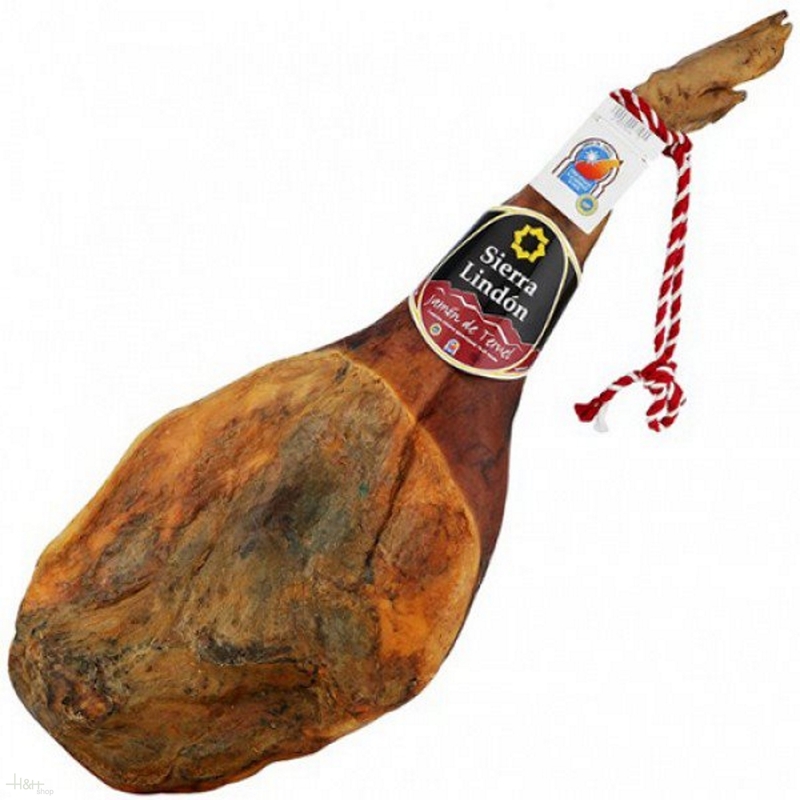 The dry cold that characterizes this area is a key factor for the ham to acquire its specific taste and aroma. The climate in Monreal del Campo favours natural, slow and lengthy curing, way beyond 20 months. This is where Sierra Lindon produces all their Serrano Hams DO Teruel. Produced according to age old traditions, using very little salt, the hams are left to rest in their natural drying houses until they reach their optimum maturing point. Sierra Lindon won two prizes in 1999 and 2002 awarded by the National Quality Competition held in Calamocha (Teruel). Quality Guarantee: the moment the hams enter Sierra Lindon's facilities to when they leave, ready to eat, they are monitored by a traceability system, thereby guaranteeing food safety for the products start to finish.